For a long time it has been said – repeatedly and by some ethnomusicologists – that the Afro-Caribbean and Afro-American music not only developed simultaneously, but even had everything to do with each other’s development. To be somewhat simplistic the common element is Africa and its polyrhythmic drumming traditions that came to be adapted by trap drum sets in jazz and became the pivot even for musicians from Charlie Parker to Eric Dolphy. 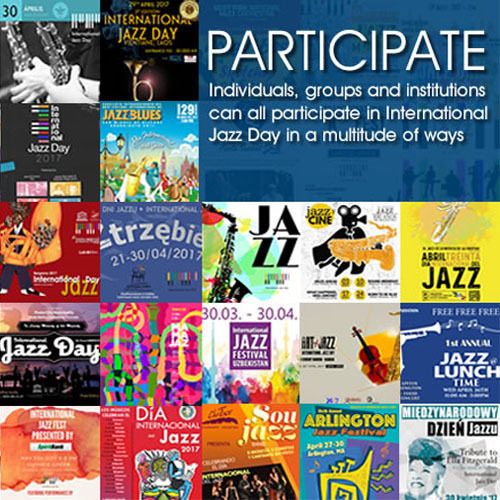 Moreover, the term ‘Latin-Jazz’ came in full force from music invented in the Dominican Republic, Puerto Rico, Cuba and the Greater Caribbean, beautifully expressed along both coasts of America long before it became fashionable for marketing suits to adopt the term. Fortunately for the musicians who practice and engineer new collisions between Afro-Caribbean music and the music of African-American. But to the best of my knowledge no one has revived the son and danzón and reinvented the whole body of African-Caribbean-American music and combined it with strings and horns deployed in an orchestral setting before this record by two of the hardest working practitioners of the idiom. 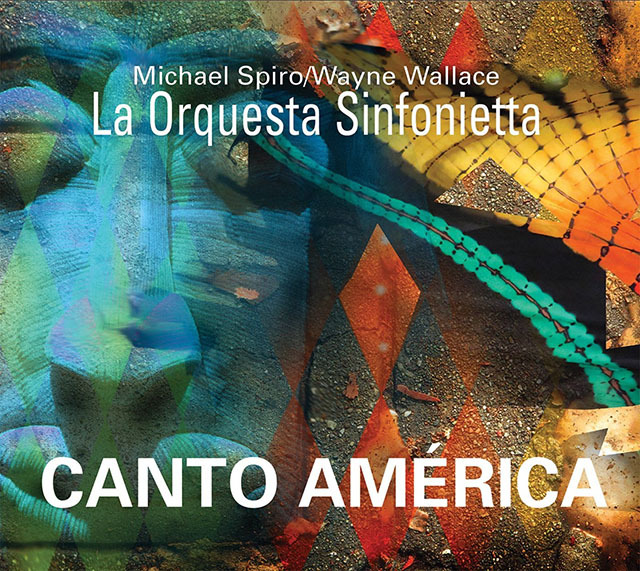 I am, of course, speaking of Wayne Wallace and Michael Spiro on Canto América, and they have become enjoined in this worthy endeavour by a marvellous and full-blooded ensemble La Orquesta Sinfonietta. What is remarkable is that traditional forms of Afro-Caribbean music are superbly melded in with strings, horns and the jazz ensemble as well. There may be many traditional orchestras in those parts of the Caribbean I have already mentioned, but few of them do what La Orquesta Sinfonietta with such aplomb. The performance unfolds almost as a seamless composition would in a given day from dawn to dusk including a robust comparsa to seize the day. In between we have rollicking worshipful music that calls upon the Santeria – Ogún and Ochun. Now several musicians have made recordings featuring the chants and drumming that go with this form of music, but what Wayne Wallace and Michael have done is added a wonderfully successful string section to this rhythmic pulse. Let’s also spare a kind thought for the voices here – all fabulous to a man and a woman. Edgardo Cambón is one of those vocalists who have a tremendous gift for bringing characters and stories to life every time he sings and his presence on the album as do the vox humana chorus of singers. However, this is Michael Spiro’s and Wayne Wallace’s record at the end of the day and both musicians give stellar accounts of themselves. Wallace has been a mainstay of the West Coast Latin-Jazz scene seemingly forever and he is all over this recording. Michael Spiro gives credence to the belief that once you’ve imbibed the spirit of Afro-Caribbean rhythms and music you can make it your own. To that he adds a singular voice that is unmatched in Latin-Jazz. Colin Douglas is a relatively recent replacement for the proverbially irreplaceable Paul van Wageningen, but he is no slouch on trap drums. David Belove and Murray Low are joined at the hip to each other as well as to Spiro and Wallace. Together this is one of the most formidable outfits in any music on the West Coast. Long may they reign if they are going to make music like this – strings and horns or not. Track List: Canto América (Amanecer/Dawn); La Propaganda De Hoy; Stardust (El Encanto); Afro Blue (Obatalá); Hispanica (Aganyú); El Médico; El Caldero de Ogún; Ochun’s Road (El Camino de Ochun); Canto América (Puesta del Sol/Sunset). Personnel: Michael Spiro: percussion, arrangements (2 – 8); Wayne Wallace: trombone and euphonium, arrangements; Colin Douglas: trap drums, percussion (2 – 8); David Belove: electric bass (2 – 8); Murray Low: piano (2 – 8); Jeremy Allen: double bass and fretless bass (1, 3, 7, 8, 9); Jamal Baptiste: piano (8); Christian Tumalan: piano (9); Jesús Diaz: lead vocals (4, 7); Mike Mixtacki: vocals (4, 7, 8), lead vocals (5); Edgardo Cambón: vocals (2, 3, 6), pregones (6); Fito Reinoso: vocals (2, 3, 6), pregones (6); John Santos: vocals (2, 3, 6); Cecilia Engelhart: vox humana (1, 8, 9); Maria Marquez: vox humana (1, 8, 9); Joe Galvin: vocals (3, 4, 8), percussion (4, 5, 6, 7, 8); Kristin Olson: vocals (3, 4, 8), percussion (4, 5, 7, 8); Nate Johnson: vocals (8); John Calloway: flute (2) (solos: 3, 4); Tom Walsh: alto saxophone (7, 8); Alexandra Signor: trumpet (5, 7, 8); Joe Anderson: trumpet and ewi (5, 7, 8); Brennan Johns: trombone, bass trombone, mellophone, French horn (1, 2, 4, 6, 7, 8, 9); Steven Banks: clarinet and bass clarinet (3, 7); Gabe Young: oboe (1, 3, 7, 8, 9); Marco Nuñez: flute and alto flute (1, 3, 7, 8); Matt Shugert: flute (3, 7); Daniel Stein (principal), Charlene Kluegel, Maria Jose Romero, Nidhal Jebali: violins (1, 2, 3, 5, 6, 7, 9); Yoni Gertner, Tze-Ying Wu: viola (1, 2, 3, 5, 6, 7, 9); Ethan Young, Brady Anderson: cello (1, 2, 3, 5, 6, 7, 9). Big Band Horns on Afro Blue: Eric Juberg, Jonah Traver: alto saxophone; Sam Motter, Tonu Maas: tenor saxophone; Theo Simpson: baritone saxophone; Rachel Rodgers: flute; Alexandra Signor, Joe Anderson, Iantheia Calhoun, Cean Robinson, Kevin Wilson: trumpets; John Sorsen, Brennan Johns, Miro Sorber, Richard Marshall: trombones; Strong Quartet on Ochun’s Road and Afro Blue: Daniel Stein (principal) Min Ju Kim: violins; Tze-Ying Wu: viola; Ethan Young: cello.